Just a day in Colombo isn’t enough to cover this bustling city entirely, as it’s divided into 13 districts, each one an adventure on its own. A beautiful blend of modern and old buildings, Colombo is a delight for tourists and locals alike. 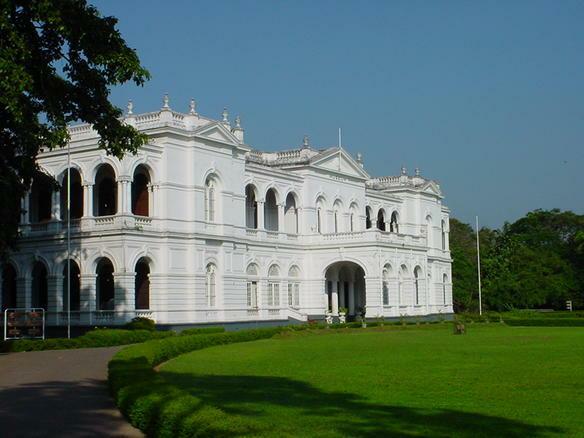 Built in 1876, the building of the museum was founded by the British Governor at the time. The largest museum in Sri Lanka, it houses carvings, swords, masks, guns, art and statues from the ancient and colonial periods of Sri Lanka! A temple complex in the heart of Colombo housing several religious artefacts to look at, the Gangaramaya temple is located roughly 45 minutes from Pegasus Reef Hotel. If you’re planning a day out in Colombo, stop by at this temple for a spiritual experience! If you’re looking to have a meal outside of your Colombo airport hotel, you won’t find it even the slightest bit difficult to locate a restaurant; as Colombo is teeming with cafes and restaurants of all sorts! Stop by at the Old Dutch Hospital street for a quiet and calm dining experience. A long stretch of green right next to the ocean, this is the ideal spot to relax after your long day in Colombo. Located south of Colombo fort, this promenade has a number of different affordable food stalls lined in one corner. Watching the sunset at Galle Face is a perfect way to end your day. Previous Post A Couple’s Guide to Hong Kong – Romantic Things to Do in HK! Next Post Discovering the Differences Between Turtles and Tortoises – Two Unique Reptile Species!